It is incredibly hard to write about political organisation and the environment without beginning with ‘shock and crisis’ framings. We know that these are increasingly urgent times as access to freshwater constricts, mass extinction marches forward, we dive headlong into the Anthropocene and on the list goes.1 To move beyond shock and crisis framings, however, allows us to highlight the already existing efforts for change. This report focuses on a diverse set of themes that have characterised political organising and the environment. These initiatives begin from multiple places; decolonisation, anti-capitalism, feminism, a need to confront the nature-society separation that characterises much Eurocentric thought, and an opportunity to shrink networks of exchange. There are a bounty of critiques to be made of how many of these initiatives have taken shape, but this report focuses instead on the possibilities that are shaking people free from the sense of a lack of any agency. There is a history of successful direct action in environmental struggles in Aotearoa New Zealand. Recent years have seen effective blockades of oil and gas industry conferences, of banks who maintain investments in the fossil fuel industry, and ongoing actions by the Save Our Unique Landscape (SOUL) campaign to protect wāhi tapu and the whenua of Ihumātao, South Auckland.2 These examples have often mixed confronting businesses that profit from environmental degradation, especially the oil and gas, and construction industries, with calling out government inaction and subsidies of these industries. Perhaps the most important environment activism has come from Indigenous led movements. It is important not to fix and romanticise Indigenous people as environmental saviours. Doing so leaves people in an impossible position within capitalist societies, as it does not enable understanding of the multiple tensions Indigenous groups navigate. Yet the proliferation of Indigenous movements has provided direction for environmental activists more generally. You are not welcome in our waters. Accordingly, and as an expression of our mana in these waters and our deep concern for the adverse effects of deep sea drilling, we will be positioning the Te Whānau-ā-Apanuivessel directly in your path, approximately one and a half nautical miles in front of you. We will not be moving, we will be doing some fishing. We wish to reiterate that this is not a protest. We are defending tribal waters and our rights from reckless Government policies and the threat of deep sea drilling, which our hapū have not consented to and continue to oppose. We have a duty to uphold the mana of our hapū here in our territorial waters. Teddy was arrested by the police, who were supported by the Navy and the Airforce. This use of the military3 speaks to wider concerns about state and industry attempts to stifle dissent.4 But there were many hopeful aspects of this action, which helped lead to the creation of several grassroots ‘oil free’ and ‘no drill’ groups. At many points in the history of environmental activism in Aotearoa New Zealand, campaigns have been rooted in Western, colonial desires to preserve people-less wilderness. This position has often required the active denial of Māori sovereignty, and continues to underpin both national conservation policy and Pākehā nationalism. There appears to be an increasing desire by (often largely Pākehā) environmental groups to navigate how to support Māori demands for sovereignty and recognise that struggles for Māori self-determination over land and resources are fundamental to creating environmental justice.7 This is not to say that these groups are always successful in their navigations. It is possible that the desire to support Māori is bound up with confronting the truth that a Western privileging of ‘wild’ and people-less nature leads to the position that the only answer to environmental problems is the eradication of humans. So instead, the task is to figure out how to cultivate ethical relationships with nature, and figuring this out begins with supporting the assertion of already existing ethical relationships with the world, as found in Indigenous societies. Regardless of whether Pākehā and tauiwi groups can ‘keep up’8 with the pursuit of decolonisation by Māori, Indigenous groups across the Pacific are forging awe-inspiring alliances. For instance, the Pacific Climate Warriors, active in 15 nations, assert that the people of the Pacific are ‘not drowning, we are fighting’.9 Sick of asking for climate action, the Pacific Climate Warriors, part of 350 Pacific, are demanding action and in doing so changing discourses about what it means to be from the Pacific at a time when the climate is rapidly changing. The group has repeatedly resisted framings of Pacific peoples as ‘victims’, ‘tiny, needy bits’10 ripe for more colonial paternalism. Instead, effort has been invested in forming a decentralised Pacific response that demands accountability for climate change and conducts direct action. In October 2014, the group blockaded the world’s largest coal port in Newcastle, Australia. Emblematic of the links between decolonisation and pro-environmental change are the Indigenous movements that have led to legislative change in places like Bolivia. There, the protection of the rights of pachamama (the earth mother) is given equal status with those of humans, and is enshrined in the Bolivian constitution. The law draws on Indigenous Andean spirituality and anti-capitalist sentiment. Here in Aotearoa New Zealand, the possibilities for legal frameworks that support the rights of the environment have been hugely extended by the Te Awa Tupua (Whanganui River Claims Settlement) Act 2017. Whanganui iwi have fought for over 150 years to have their relationship with and understanding of the river adequately recognised. The Act codifies that the river sustains life, flows from mountains to sea, has an inalienable relationship with iwi and hapū, and is made up of streams large and small that flow into it. 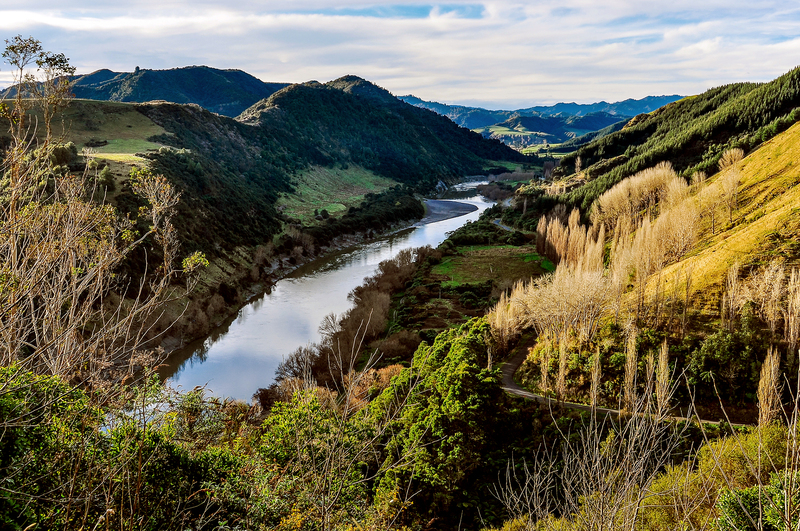 The rights of the Whanganui River are recognised, and are advocated for by the office of Te Pou Tupua the human face of the river system.13 What this means for the river in practice and for how people interact with it remains to be seen. For non-Indigenous people it is often a struggle to articulate and organise around complex ethical relationships with the nonhuman world. There are many reasons for this, one being a lack of language for kinship relationships. This is a key area for further political work, work that begins with supporting the assertion of Indigenous worldviews, and learning from them without slipping into appropriation and cherry picking of ideas. Gerda Roelvink and J-K Gibson-Graham suggest how these kinds of relationships might be fostered.14 They write about farmers that have learned to ‘listen to’ the land and create an ‘economy of working with the land’ whereby the needs of nonhumans are accounted for.15 This type of economy is yet to congeal into a ‘new political organisation’ in Aotearoa New Zealand, but the notion of accounting for the needs of nonhumans and redistributing surplus to them is a radical proposition that deserves to be explored. Drawing on the work of Gibson-Graham, work by members of the Community Economies Collective16 has examined how shared community spaces create, and foster diverse economic relationships. For example, in the post-disaster Christchurch landscape, groups have built alternatives to capitalism based on collective control of space and resources. Gapfiller, for example, has bypassed bureaucratic constraints to make the most of opportunities for local autonomy and creativity. Space has been claimed for dance floors, pavilions and gardens. The land typically remains privately owned, but for a time is transformed into a place with shared community norms and control. In Lower Hutt, Common Unity Project Aotearoa is illustrative of the potential for community gardens to grow and foster justice in unexpected ways. Common Unity Project Aotearoa began in 2012, initially turning an unused soccer field at Epuni School, in Lower Hutt, into a garden. Food from the garden feeds school children three times a week. The project also runs workshops in the garden and the associated kitchen for parents and the wider community. The meals cooked in the kitchen are also supported by unsold food from shops, which fits within a broader philosophy against waste. Old pokie machine screens have been used to make glasshouses, and nearby land, left vacant after earthquake-prone Housing New Zealand flats were pulled down, was planted out. The project has also fostered collaborations. For instance, Ngahere Kai is a side project that involves working with Hutt City Council to plant 250 heritage fruit trees in community parks so that there is locally grown food available in walking distance to all families in Lower Hutt. In 2017, Common Unity Project Aotearoa expanded into a new building, the ReMakery, which is shared with a number of community owned enterprises, such as Sew Good Cooperative and ReCycle. The intention of the project is to amplify the community’s strengths, and address some of its challenges, in order to create a more resilient place. There are critiques of resilience; for instance, resilience is often a code word for ‘bouncing back’ to capitalism after crises.17 Similarly there are critiques of localisation movements, for instance that they cannot adequately challenge the power relations that are producing the global problems they seek to address. Certainly, many local initiatives experience depoliticising pulls as groups balance the need for systemic change with the need for pragmatism.18 Furthermore, localisation can become co-opted by right wing governments to justify austerity and shed their responsibilities to citizens. What shifts some, but certainly not all, community focused groups beyond apolitical localism into ‘progressive localism’19 is that they are outward looking, do not see localism as the means andthe ends, and emphasise the way they are connected to others across scales. There is often a pragmatism in how these commons are made, and people may become involved in initiatives because capitalism has failed them (in any number of ways) rather than through a systemic critique. This might look like depoliticisation to people from a radical tradition, as there may not be a confrontation of sorts. 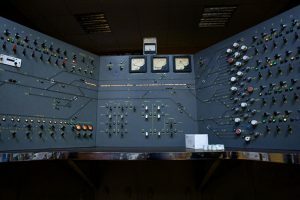 This kind of organisation might be described as a kind of ‘quiet’ activism, where seeds of change are planted, and a deep questioning of systems of power cultivated. For example, members of the Brooklyn Food Group in Wellington are entirely aware of the capitalist relations that produce climate change, but found agency in developing a community orchard and workshops and see this work as holding potential to politicise their community. Tangible ‘things’ were created; access to fresh food outside capitalist exchange, and new common spaces that are free from commercialisation and corporatisation. To different degrees, community gardening initiatives like the Brooklyn Food Group and larger projects like Common Unity Project Aotearoa attempt to develop community autonomy that also builds alternatives to capitalist relations. Another possible example of quiet activism with radical potential is collaborations that bring together diverse groups to imagine how to organise for more improved access to and autonomy over healthy environments. One such collaboration focuses on cities as important places for thinking about and creating environmental justice. The project, called Imagining Decolonised Cities, involved Ngāti Toa Rangatira and Victoria University of Wellington academics, and focused on Porirua city. In Aotearoa New Zealand, we often overlook cities as sites of environmental struggle; nature is understood to be rural, or in isolated green pockets of urban environments. When we think of nature this way, we ignore that it is everywhere, and the right to access healthy environments is for everyone. For instance, urban communities have rights to clean air or water, and should be empowered to make decisions about building roads or reclaiming land for private use in a previously publicly accessible harbour. Urban populations also have important roles in enhancing biodiversity. Imagining Decolonised Cities20 began from the recognition that urban places have always been Indigenous places, but these environments have changed in ways that do not often reflect this reality. For instance, the mana whenua status of Ngāti Toa Rangatira is not apparent throughout much of Porirua. Through colonisation they have lost access to food through the degradation of the harbour, and lost control over their land through Public Works Act confiscations. The project sought to create conversation, and ideally action, to address these environmental injustices that are perpetuated through the ongoing process of colonisation. This was done through a series of workshops with young people in Porirua, a public symposium, and an urban design competition that asked participants to engage with utopianism to envision a more ‘just’ Porirua. The response to the project has demonstrated an appetite for thinking about and organising for urban environments that look beyond the grid-form, private property-centric approach that currently dominates. This suggests a desire to recognise mana whenua and imagine the impossible of transformed, decolonised, design and planning for healthy urban environments. This report is only a partial account of political organising around the environment. I have attempted to highlight the diversity of ways and scales by which people seek to unleash their agency. Many Indigenous led movements are rooted in the fundamental and overarching injustice of colonisation, of which environmental autonomy and protection are inseparable dimensions. It should not be overlooked, for example, that the internationally celebrated21 legislation recognising the legal personhood of the Whanganui River was part of Whanganui iwi Treaty settlement. For non-Indigenous people, supporting the mahi of decolonisation provides the opportunity not only for justice, but a way out of ‘wilderness’ conundrums where the only answer to environmental degradation is entirely separate spaces for humans and nature. Localised movements have sought to bridge this gap by commoning land, and building community autonomy and resilience. Activism like community gardening and commoning are not beyond critique and these critiques are well rehearsed. But they can also demonstrate ways that, in the face of appalling failure by governments to take action on crises like climate change, community connection and action re-places agency with people who can simultaneously be within, against, and beyond capitalism.22 These kinds of projects imagine just futures where access to healthy environments leads to healthy communities, and forge ahead with realising this kind of world. One of the contemporary challenges of environmental organising is actually understanding environmental issues as political. There is more and more research that points out the way that solutions to environmental issues are often understood as purely technical, to be solved by economic experts and done so within the capitalist system.23 The possibilities for tackling issues like climate change are narrowed as disagreement and debate is limited to which capitalist tool is best; for instance, green consumption, or carbon taxes. This article has sought to highlight the ways that groups in Aotearoa New Zealand have insisted that the environment is political, and problems cannot be solved by reproducing the structures of capitalism and colonialism, the very systems that produced these problems in the first place. 1 The Anthropocene is a contested term that refers to the idea that we have entered a new epoch determined by the way humans have altered the planet’s ecosystems and geology. There is plenty of debate about whether this idea furthers a constructed divide between nature and society, or when exactly this date might rest. For example, should it coincide with the advent of colonisation when environments were drastically changed? See Heather Davis and Zoe Todd. “On the importance of a date, or decolonizing the Anthropocene”, ACME vol. 16 issue 4 (2017): 761-780); Jason Moore. “The Capitalocene, part I: on the nature and origins of our ecological crisis”, The Journal of Peasant Studies vol 44 issue 3 (2017): 594-630. 3 The powers of the defence force to intervene in sea-based protests such as these were expanded through Supplementary Order Paper 205 of the 2013 amendments to the Crown Minerals Act. This act also created a new offence for entering designated exclusion zones around exploration and extraction vessels, known as the Anadarko Amendment because of lobbying by industry groups like Anadarko. 5 For instance, resistance to Statoil in the Far North. Note that this is not always an easy relationship. 8 As Moana Jackson put it in a talk at the Imagining Decolonised Cities symposium, Takapūwāhia Marae, Porirua on 13 May 2017. 10 Epeli Hau‘ofa. ‘Our Sea of Islands’, The Contemporary Pacific vol. 6, no. 1 (1994): 159. 14 Gerda Roelvink and J-K Gibson-Graham. ‘An economic ethics for the Anthropocene’, Antipode vol. 41, (2009): 320-346. 16 For example Kelly Dombroski and Gradon Diprose. 17 Raven Cretney and Sophie Bond. ‘”Bouncing back” to capitalism? Grassroots autonomous activism in shaping discourses of resilience and transformation following disaster’, Resilience vol. 2, issue 1, (2014): 18-31. 18 See Raven Cretney, Amanda C Thomas and Sophie Bond. ‘Maintaining grassroots activism: Transition Towns in Aotearoa New Zealand’, New Zealand Geographer vol. 72 (2016): 86. 19 See David Featherstone, Anthony Ince, Danny Mackinnon, Kendra Strauss, and Andrew Cumbers. ‘Progressive localism and the construction of political alternatives’, Transactions of the Institute of British Geographers vol. 37, issue 2 (2012): 177–82. 22 Paul Chatterton and Jenny Pickerill. ‘Everyday activism and transitions towards postcapitalist worlds’, Transactions of the Insititute of British Geographers vol. 35 (2010): 475-490. 23 Gradon Diprose, Amanda C Thomas and Sophie Bond. 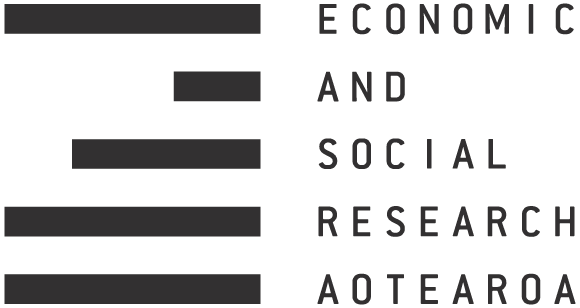 ‘”It’s who we are”: eco-nationalism and place in contesting deep-sea oil in Aotearoa New Zealand’, Kōtuitui vol. 11, issue 2 (2016): 159-173; Erik Swyngedouw. ‘The antinomies of the postpolitical city: in search of a democratic politics of environmental production’, International Journal of Urban Regional Research vol. 33 (2009): 601–620. Amanda Thomas has a PhD in geography and is a lecturer in Environmental Studies at Victoria University of Wellington. Her research examines democracy and the ways that environmental politics interact with social justice.